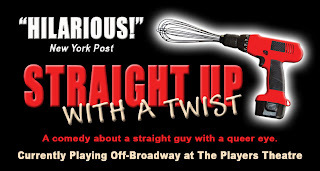 Paul's one man show, "Straight Up with a Twist", is about a straight guy who knows all the wrong things. I met a bunch of my friends there for the show. Most of us have shared many years doing community theater together in this area, some sharing the stage with Paul, many years ago. This made it even more fun to see him in action! Since we were in the front row (thanks to Paul) OF COURSE, he dragged our two non-theater guys up on stage for the audience participation segment.....That's Paul on the left, with Larry & Ted being very good sports! 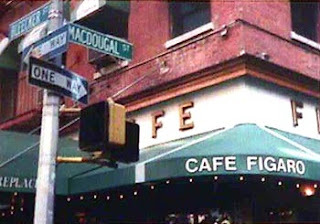 After the show we headed over to Cafe Figaro for a great meal, yummy chocolate mousse and hours of conversation. Another old theater pal, Tom Fagan (now Tom Cleary, as Fagan was already taken in the Actors Union), joined us. Haven't seen Tom in over 20 years so there was plenty of reminiscing about the theater days and catching up to do. And here's our theater gang....Diana, Joe, Tom, Jura and yours truly! If you're looking for a good laugh, Paul delivers PLENTY! Check out "Straight Up with a Twist" . 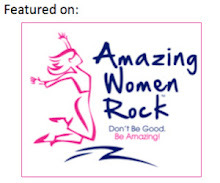 But hurry, because the New York run is limited.....and let me know how you like it!